We Show You the Most Useful Resources for Improving Your Game Quickly! Online poker has become a huge industry over the years. But with millions of players worldwide taking part it can sometimes get a bit confusing. And when real money is at stake one thing you definitely don't want to be in 2019 is confused. But what if we were to tell you that you could improve your game, and your chances of winning, even against the biggest poker sharks out there? With the help of just a few online poker tools, it's possible for even small time fish to transform their fortunes and their odds of winning. And the best part? Using these online poker tools isn't even considered cheating! So it's definitely worth looking into. 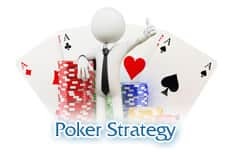 If you're interested in discovering the best online poker and poker strategy tools in 2019, but you don't know where to start. We've got the lowdown on the most popular ones right here. So if you're looking for a way to improve your game without the help of lady luck on your side. These tools with give you all the ammo you need. 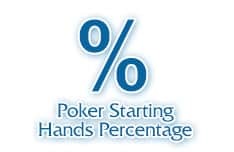 Imagine if every time you played poker online you could know exactly what your odds of winning the hand were? You'd never have to play a bluff again or fold on a strong hand only to find out your opponent was bluffing all along. Well, with an online odds calculator that's exactly what you get. 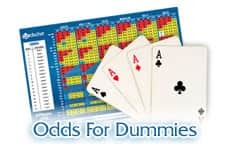 Poker odds calculators, like the one we've developed here at CardsChat.com, are ideal for finding out what your likelihood of winning the hand of poker you're playing is. And they couldn't be easier to use either. Once you've installed the software onto the device you use to play poker online you simply go about gambling in the usual way. Except with an odds calculator you have a severe upper hand against your competitors around the table. The software runs silently in the background while you play. All you need to do is tell it what cards you're holding, and those your opponents have and it quickly calculates the odds of you winning. So you never have to leave any decision you make to chance again. It works on a statistical analysis of the possible outcomes, based on the cards on the table, and those remaining in the flop. The information you glean from an Odds Calculator can give you a serious advantage in the game. Plus, with the software being widely available online for free, you really do have nothing to lose by installing one. Poker Tracker has been around since 2001 and continues to be the top poker program for offering player statistics. It's ridiculously easy to use. Plus you can input your playing history from just about any online poker site. Instantly revealing your strengths as well as the areas of your game that could use some improvement. While it does offer a 30-day free trial for new customers, the latest PokerTracker 4 will set you back at least $59.99. It also has a HUD (Head-up Display) engine that presents tracked information in real time at the table. Not only for yourself but also for your opponents. However, using these kinds of programs isn't always welcome on some online poker sites. You can use Hold'em Manager to get detailed stats on your online poker history and also get information on previous opponents from saved histories. Hold'em Manager has a lot of similarities with PokerTracker. You can use it to get detailed stats on your online poker history. As well as information on historical opponents you've faced up against. The program doesn't just run the numbers for you after your session but also while you're seated. A customizable HUD will display percentages under your opponents, based on how often they bet on each street. For new players it can take a while to get used to Hold'em Manager's additional numbers and how to best interpret them. But the benefits won't take long to appreciate. A version for small stakes of Hold'em Manager 2 costs just $59.99. While the pro version, for all Texas Hold'em games and stakes, requires a slightly higher $99.99 payment. Just as with Poker Tracker, Hold'em Manager's program can be accessed for free for a trial run lasting 30 days. Again, bear in mind that some poker sites don't allow HUDs on their platforms anymore. Nowadays there are a ton of poker strategy resources available and the majority of them can be found online. While books and guides can also be useful. Most players eager to learn are better off watching the pros directly and soaking up as much information as they can. Twitch is a massive video streaming platform that is home to millions of users. And over recent years poker has developed quite a nice following here. With several famous poker players regularly streaming the action from their tables and providing detailed commentary in the process. There are even big events streamed live from various poker tournaments around the world. And a big advantage of Twitch poker is that it is completely free. You can start watching someone with just one click on a browser. There are options to donate money to the streamer and subscriptions available that also come with a fixed cost. But videos on demand are also provided. Allowing players who follow the stream to analyse the action and decisions made throughout the game in different spots. Which is a great way to test your judgement and hone your own poker skills. Players looking to sharpen their poker skills online have an army of resources available at their fingertips. And online poker schools are just one such institution that come highly recommended. Not only do these schools offer players information in a clear and comprehensive style. They also add some actual practice to the learning process too. Most poker sites have their own poker schools available for free and they usually come with multiple lessons aimed at beginners, intermediate and advanced players. A few quick questions at the end will put player's knowledge to the test. Before players move on to take part in real action on an actual poker table. It's also not uncommon for some of these poker rooms to offer a little bonus for users who graduated from their poker schools. This can be in the form of cash or entries to special freeroll tournaments. One of the first online poker schools was CardRunners, which went out of business in 2017. Founded by Taylor Caby and Andrew Wiggins, this poker training site was the first of its kind and featured instructional videos, online articles and discussion forums on all aspects of the game. Able to delve into greater detail than poker books ever could, this community portal became an instant success and launched the careers of many world-class pros. The key to CardRunners' early success was its video content. Produced by many of the game's best online players, the videos often focused on a particular skill or aspect of the game in extreme detail. Moreover, each video was created by an established long-term winner and usually revealed certain secrets about their profitable playing style. 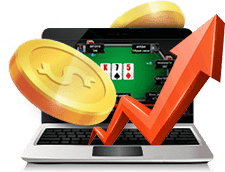 Such was the impact of CardRunners on the poker community that more training sites began to emerge - such as DeucesCracked, PokerXFactor and Stox Poker - and each followed a similar training format. In a short period of time poker training videos became THE way to learn the game and, as such, the standard of poker increased dramatically. Today, poker videos are arguably the most effective poker training resource we have thanks to their price, accessibility and ability to stay relevant. Indeed, because each video is produced by a current winner, it means audiences are treated to the latest concepts and strategy; something a book simply can't do. To gain access to a video library of poker advice will vary anywhere from $0 (if you grind a certain amount of hands every month at a specific poker site) to between $9 and $99 per month. Many consider poker books as being on their way out given the growth of the Internet. However, there are still some awesome books available out there. For players who want to learn more about the proper way of playing poker. While winning in poker used to be a lot easier before the Internet came along. Nowadays pretty much all players need to stay ahead of the game and be up to date with the latest strategies. Which is precisely where poker books can help. As the top titles aren't only incredibly informative about poker in general. They also cover off different poker variations and types in excruciating detail. With Super System still serving aspiring grinders today, it's fair to say that learning poker through the medium of books is still a solid idea. Indeed, there are many seminal works - including David Sklansky's Theory of Poker and Dan Harrington's series Harrington on Hold'em - which all players should read. Indeed, although some of plays may be out-of-date, the core concepts are as reliable today as they ever were. And if you're not a fan of the hardcover format don't worry. Since the dawn of the digital age all of these great poker books have been converted to electronic form. So you can have them as close tools when playing poker from your computer, tablet or smartphone in 2019. Easily bookmarking pages to refer back to in an instant. Acting as a modern, pared down version of classic poker literature, strategy articles are usually used by different outlets for a variety of different reasons. For example, an online poker site might post in-house strategy articles in order to attract players to its platform. 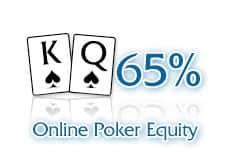 In contrast, a community portal, such as CardsChat, is designed to help players improve their game and often offers high quality poker strategy content. This variation in quality between poker strategy articles is something you need to be mindful of. Although the vast majority of writing will be free to read, not all of it will be worth absorbing. Try to seek out articles that offer solid advice and, if possible, are written or endorsed by a top poker pro.